I have the honor to knit a crib blanket in anticipation of my new cousins arrival this October. I’m excited for my favorite cousin (who is more like a sister to me) and her new little bundle. I’m just bummed I won’t be able to meet her right away. We will have a lot going on around that same time, but hopefully early next year I’ll finally get to visit. For this blanket, I’m using Purl Soho’s free pattern. It uses 100% Merino Wool and it is the softest yarn I’ve ever worked with. Being a newbie knitter, I’m beginning to understand that the quality of yarn truly makes a difference. With my admission of being a newbie, you can imagine the head scratching I did when the yarn arrived as a “hank”. (My learning process unfolded on instagram.) Luckily a couple of youtube videos rescued me and I was able to successfully wind this center-pull ball of yarn with only one frustrating knot. Hallelujah! 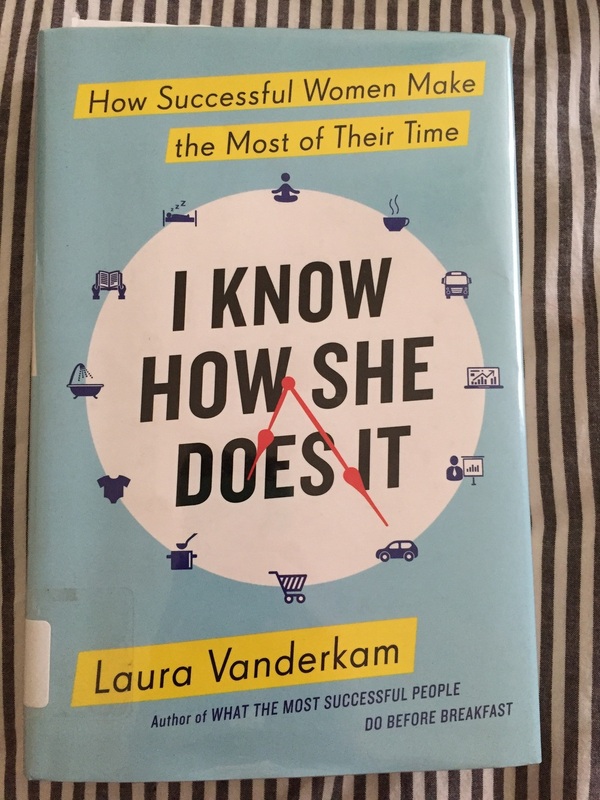 The book I’m currently working on is titled, I Know How She Does It, by Laura Vanderkam. I checked this book out after listening to an amazing podcast by Elise Joy who interviewed Laura. I highly recommend listening to the podcast if you have 20 mins to listen.